An officer in the British army recalls twenty years of his friendship with a troubled aristocrat and his powerful family. In 1943, during World War II, Capt. Charles Ryder, played by Jeremy Irons (Reversal of Fortune), is at a point in his life in which all-important things have lost most of their meaning and beauty. Or as he says at one point, “… something within me has quietly died.“ Ryder seems to be serving England not with enthusiastic optimism, but with obvious disdain. He is a man at the end of a road, and he knows it. 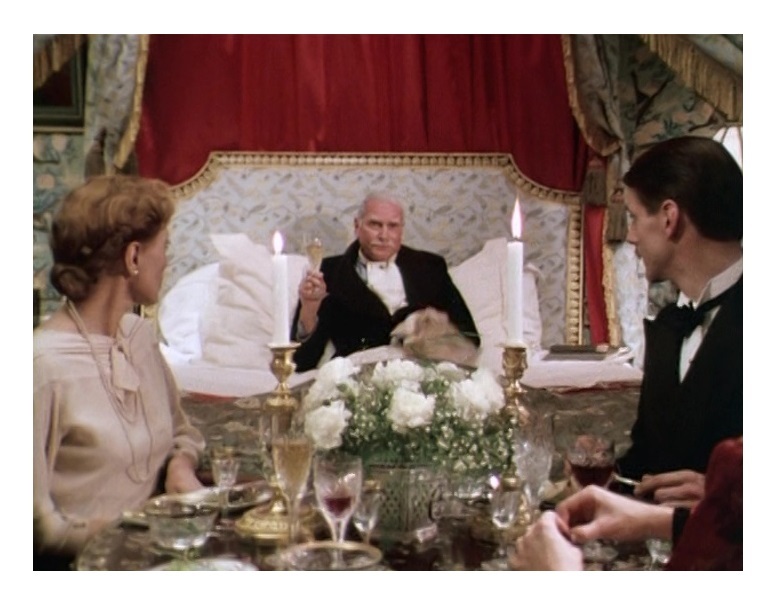 Suddenly, Ryder and his regiment are sent to a secret location, which turns out to be a place he used to visit more than twenty years ago and where he spent many memorable moments with his aristocratic and eccentric rich friend Sebastian, played by Anthony Andrews (The King’s Speech). Unexpectedly, this encounter with his past gives Ryder a chance to reevaluate his life. And this is how the magnificent British miniseries Brideshead Revisited commences — a TV program that became an instant sensation on both sides of the Atlantic when it first debuted on TV in the early 1980s. 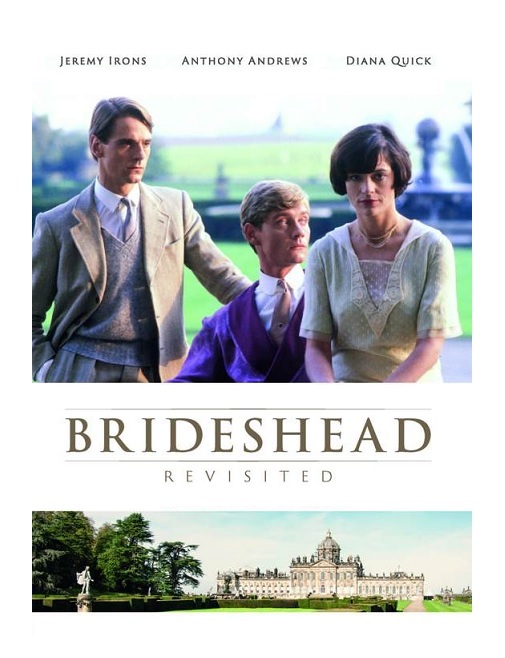 I somehow missed Brideshead Revisited during its initial TV run. To be honest, at 12 years old, I was not interested in watching a British TV series that looked like some of those coffee-table movies that England never seems to stop making. Over the years, my curiosity grew as a good word of mouth managed to turn this miniseries into a “must-see” TV event. From the very first episode, I became intrigued by Irons’s understated performance, and I soon found myself submerged into the program’s fascinating storyline. Before I knew it, I got hooked, and suddenly, I started wishing the story would never end. Who could have thought that such a long, deliberately paced program could be such an enthralling experience? 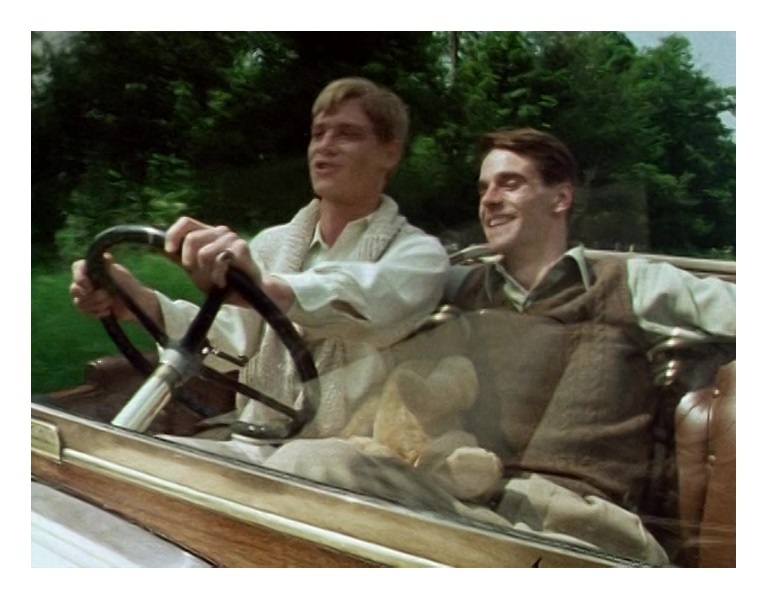 Brideshead Revisited is more or less about the death of innocence, and the feelings of loss and hope that arise during periods of social transition. 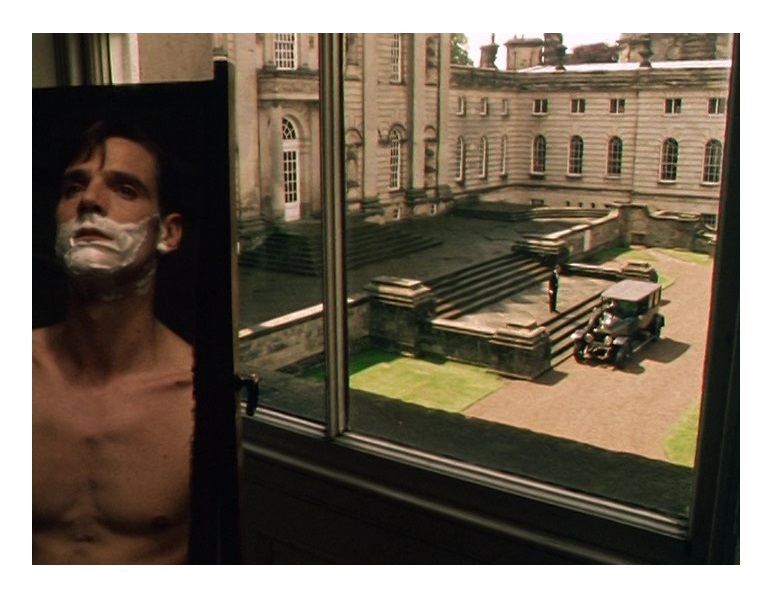 Based on the acclaimed novel by Evelyn Waugh, Brideshead Revisited is without any doubt one of the best miniseries ever made; a delicate, poetic, and lyrical masterpiece that is full of intriguing ideas. The main focus of the series is the decline of an aristocratic family in England in the 1920s. Despite most people’s unfamiliarity with the world of the rich and famous, this program is able to connect with all sorts of audiences by presenting interesting issues in a way that we all can relate to; the inability to communicate one’s thoughts, the longing for self-esteem, and the comforts of true friendship are some of the ideas that are vividly presented by the series. The family becomes a symbolic mosaic of the human experience while serving as a commentary of a country in a period of transition. Despite its numerous interweaving subplots and extreme length, the series manages to hold one’s attention with its captivating storyline. Although Brideshead Revisited was originally the brainchild of author Waugh, the truth is that many people should get credit for creating a TV program that succeeds at all levels. First, we have the extraordinary cast composed of Irons, Andrews, Claire Bloom (The Illustrated Man), Diana Quick (Nicholas and Alexandra), Mona Washbourne (My Fair Lady), and, stealing every scene they are in, Laurence Olivier (Wuthering Heights) and John Gielgud (The Elephant Man) — Olivier won a well-deserved Emmy for his performance as Lord Marchmain. Others responsible for the program’s excellence are writer John Mortimer (Bunny Lake Is Missing), directors Michael Lindsay-Hogg (The Object of Beauty) and Charles Sturridge (A Handful of Dust), and above all composer Geoffrey Burgon (The Dogs of War), not only for composing one of the most beautiful musical scores ever written for a TV program of this type, but also for composing melodies that capture the story’s melancholic atmosphere so well. Brideshead Revisited hasn’t date one bit. I think the reason it continues to work its special magic on audiences after all these years is because the program is populated with an array of well-developed and unforgettable characters. All characters are not only interesting, but their behavior also offers a metaphor of the contradictions and complexities of the human condition. Few programs could offer as much insight into human nature as this one. Simply put, a highly recommended TV show. Remade in 2008. Color, 659 minutes, Not Rated. What a wonderful reminder of a delicious series. I re-viewed it a couple of years ago and I hadn’t realised how little actually took place in Oxford – my mind had tricked me! I went to college with a terribly posh guy who modelled himself on Sebastian. I might just look at it again now that I have – just tonight! – finished watching BLACK SAILS which is a delirium of an entirely different variety! If nothing else, BRIDESHEAD was a brilliant introduction for me to the work of Evelyn Waugh, one of the most touching and hilarious of writers. “I went to college with a terribly posh guy who modelled himself on Sebastian.” I would have loved to meet the guy! 🙂 … Anyhow, I haven’t read Waugh, but I adored the film adaptations of The Loved One and, of course, Brideshead. P.S. Black Sails sounds interesting! BLACK SAILS? The Game of Thrones of pirate shows!